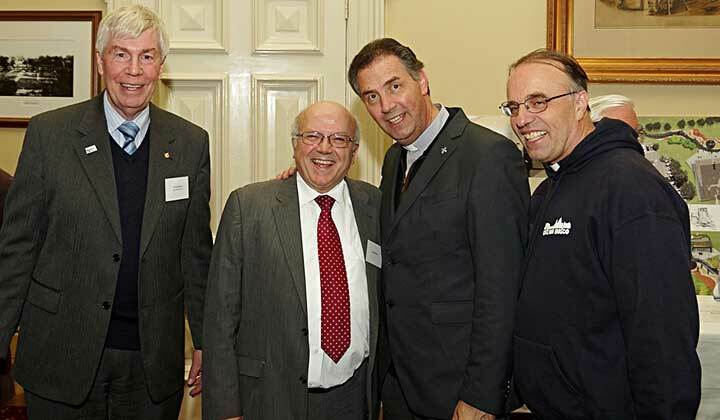 Melbourne, Australia, 12 April 2019 -- What makes you happy as Salesian Cooperators? To follow the call, the meeting we have, which give us courage and friendship. Being part of a family and working with kids. Coming together for meeting, catching up together. I’m happy to be as a family to pray as a Salesian family to attend the Mass. To be a follower of Mary Help of Christians and to keep in touch with Don Bosco’s family, shared the spirituality and fellowship. I look forward to our monthly meeting with Mass followed by meeting and light tea (dinner). I enjoy being a Cooperator and learning all about Salesians. The prayers and community together. What makes you grow in your Salesian Cooperator vocation and mission? We growth as we follow the reading which we learn about the closeness of Don Bosco. The ongoing formation we have at the Center. To allow pray for our youth and to patient with my grandchildren and adult members of my family. We learn about Don Bosco and his life, vocation and teaching. At our meeting we learn about Don Bosco’s life and teaching, his work with the young. I would like to follow his way of dealing with the young. We learn about Don Bosco and his missions. I studied as a Salesian convent and shall believe in what I was taught there and loved the teaching also today. What are the major challenges in your vocational growth? As we get closer to Jesus, by having our meetings. The multicultural society. Encouragement to keep praying and to be helpful to our parish community. To follow in his footsteps, be kind to the poor and help them when necessary. To deal with teenagers, especially in our own family. They face many challenges and peer group pressure. We have to learn to help them face their challenges. Mixing with other Cooperators. Spirituality, holiness and even constantly learning about Don Bosco and Mary Mazarello. How do you prepare yourself for the accompaniment of the young or eventual future Salesian Cooperators? To give a good example to our grandchildren to love and forgive one another. With prayer and getting strength from my group. Giving and leading by example. That the Salesian Cooperators continues long after we oldie have gone. To show a great example to them, tell them about Don Bosco. We don’t meet them. But we would like to share ideas and experiences. Try to speak about the Salesians and Cooperators to our grandchildren. To be an example to own families especially grandchildren. We can dream that we can meet them and learn about their lives. An online forum where we can exchange our experience. That we communicate with them and exchange ideas. We don’t meet them! We would like to meet the Cooperators from the EAO – Samoa, Fiji, and talk about their work. Maybe one day experience life in Samoa, Fiji and learn about togetherness. What do you expect from the 2019 EAO Formator’s Workshop in Cambodia 2019? To know them and receive them as one another. A plan for moving further and forward for the future. Need encouragement from them. We wait for some feedback from them. Move together with prayer and connection amongst us.